About Converting - DBR Industries, Inc. Converting Options Available Through DBR Industries, Inc.
DBR specializes in custom converting of flexible packaging materials. The converting we are able to do varies broadly and is more specialized than what many of our competitors can offer. 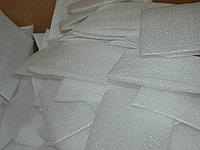 DBR offers custom slitting and perforating of polyethylene foam and bubble packaging. 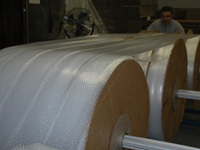 Our precision equipment and highly skilled staff allow us to slit and perforate bubble and polyethylene foam in increments as low as 2", something none of our competitors are capable of doing. Because we do all slitting and perforating in-house, your customized job will be done with our standard short lead times, ensuring your products are protected when you need them to be. 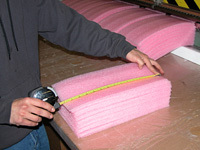 DBR also offers custom cut polyethylene foam and bubble sheets. 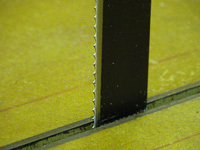 Like slitting and perforating, sheeting can be done as narrow as 2", which is a precision no one else offers. 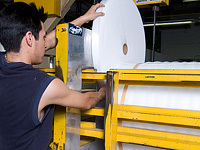 Our staff takes the time to make sure sheets are cut precisely to the specific size ordered to ensure that the product you receive is accurate. 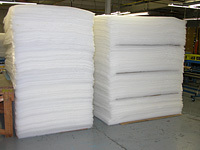 One of our specialties is custom bubble and polyethylene foam bags and pouches. With precision equipment and specialty-trained staff, we are able to make custom-size bags and pouches as small as 3” x 3”. We can also manufacture bags and pouches to accommodate large items. We can also make custom sleeves as small as 2”, a small size that largely sets us apart from our competitors. 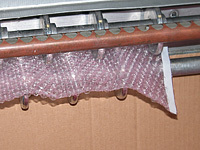 Bubble bags are available self-sealing, with tape along one edge to help keep your product secure. 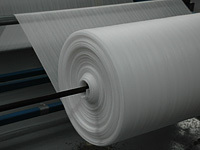 We can also manufacture bubble bags perforated on a roll for easy dispensing over a work station. DBR can die-cut special shapes to create a unique packaging product and ensure a distinct fit to your exact product specifications. 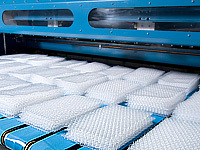 Die-cutting is perfect for products that have irregular shapes or are particularly fragile. 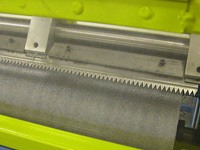 For more information on die-cutting, please contact us at 773.583.6400 or via email at alan@dbrindustries.com.